Insurance policies are not one-size-fits-all. When you are in the process of comparison shopping for auto insurance rates, you must take your time to build an insurance policy that includes all of the coverages you need to protect you on the road. Many consumers buy auto insurance coverages without even knowing exactly how they work and when they will pay. The smartest consumers will take time to understand how each coverage option differs from the next, and which options are necessary for peace of mind and protection. If you want a straightforward explanation of the most common coverage options available, read on and find out what you need to know in a matter of minutes. Liability coverage is the only coverage option that is required by all states throughout the nation. This is a mandatory coverage in all states because it will cover the cost of repairs and medical bills that are sustained when you are found to have caused an accident. When you are quoting liability insurance, you will found that the coverage is broken down into two different categories: Bodily Injury and Property Damage. Bodily Injury coverage will pay, up to the limits stated on the policy, for the medical bills of a third-party individual. Property Damage will pay for any vehicles or other property that is damaged, up to the limits that you select. While state minimums are set, it might be suitable to select higher limits to protect your assets. Learn more about liability coverage. While all drivers are required by law to carry liability coverage, some states have very high incidence of uninsured drivers on the road. If you are hit by an uninsured driver, you may be forced to pay for your bills out-of-pocket. By purchasing uninsured motorist protection, you have peace of mind in knowing the medical bills of you and your passengers will be covered if the at-fault driver does not have insurance. You also have the option to add UMPD, which will waive your deductible or provide $3,500 of property damage coverage to repair your vehicle. Learn more about uninsured and underinsured motorist coverage. In states that follow the tort system, Medical Payments coverage is available to pay for your medical bills and the bills of any of the passengers in your vehicle. If you live in a no-fault state, Personal Injury Protection is available to cover your medical bills up to a specified limit. While medical insurance should pay for most of your bills, Medical Payments and PIP are necessary to cover out-of-pocket costs and copays. For drivers without medical insurance, it is wise to carry high Med Pay or PIP limits. Physical Damage coverage consists of Comprehensive and Collision insurance. When you carry both forms of Physical Damage protection, most individuals would call your policy a full coverage plan. Comprehensive will pay to repair or replace your vehicle, minus your deductible, when it is damaged due to fire, theft, vandalism, glass breakage, or collision with a live animal. Collision, on the other hand, will pay for repairs because of a moving accident regardless of fault. If your vehicle is financed, leased, or holds a high value, you should carry both Comprehensive and Collision insurance. 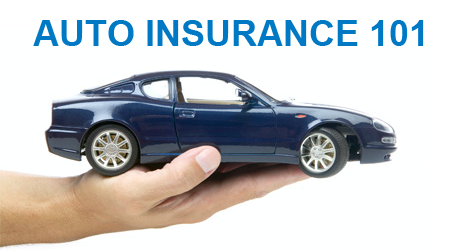 Some auto insurance companies will offer other types of auto insurance coverages like gap insurance and towing. It is important to understand how each type of coverage works, what limits you will need, and how rejecting the coverage may put you at-risk. Do your homework, know your options, and use this knowledge while you are comparing auto insurance rates.